I thought it would be fun to resurrect my old 'Friday Things' post with cool stuff I've found around the internet. Lots of good food for thought here, if you're still full like I am from real food. This speech given by Monica Lewinsky is just phenomenal. Truly. It's long as far as videos go. But I urge everyone to watch it in it's entirety. SHE IS AN INSPIRATION. Yes. The FAQ below the video is a good primer, I love #7. THIS: Why I want to delete half my Facebook friends during a national crisis. I'm really trying to be informed on both sides of the Ferguson crisis (and it IS a crisis), but man, everyone makes that hard to do. But I suppose we can thank Facebook for Benjamin Watson's words that seem to be the most true and heartfelt I've seen since the indictment. This video on common core math quickly sums up why it's not a bad thing. It's a wonderful thing! I'm still on the fence with my feelings towards common core, having some reservations about our kids being the guinea pigs while it's being implemented and tested. But, on the whole, it seems like a good thing. This video on things that kids do that adults can't do made my week. I can very much relate to the "I wanted the BLUE cup" and "Just look, looooook at it!" Catching Kayla has probably been viewed by most every runner I know. So, if you aren't a runner (or haven't seen it yet), this story about a super fast high school track runner with MS is a such an inspiration. What food banks need most. A friend shared this on Facebook and it's a handy list for the many ways to donate this time of year. I also love how our local Safeway has prepared bags for $10 you can just throw on the register when you checkout. 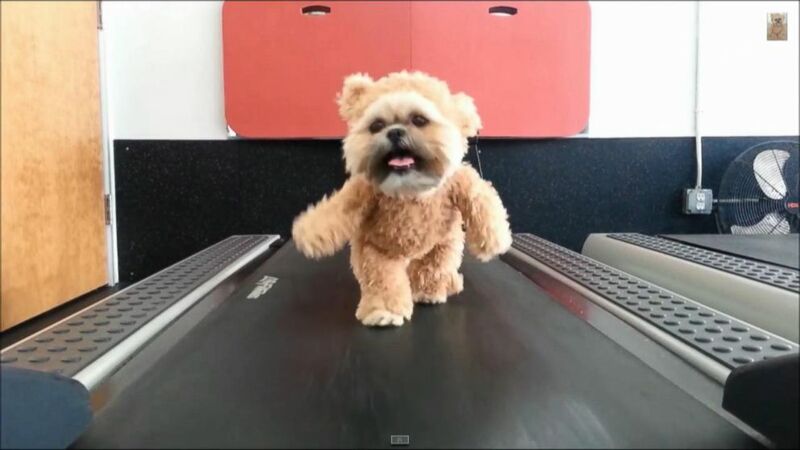 I leave you with this, a dog dressed as a bear on a treadmill. You're welcome.